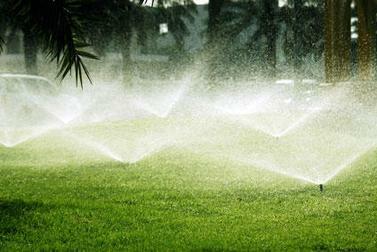 ​Charlie's Sprinkler Repair offers all kinds of irrigation installation and repair services. We want to ensure that our customers get the ultimate sprinkler system to keep their lawns green and beautiful all year round. Whether you are looking for a residential sprinkler system or drip irrigation installation, we're available to answer your question, provide an affordable rate and schedule prompt appointments with a reliable technician. Our services are used by homeowners and commercial businesses all over St. Petersburg area. While we are known as the sprinkler and irrigation repair experts, we like to think that we can do it all including installation and water conservation. Like us, our customers believe that there is a better way to install sprinkler systems so that water isn't wasted. Don't pay twice, Get it fixed the first time. Use a trained Irrigation Technician. A full third of the calls I receive are from customers who have had someone fix things incorrectly (usually a handyman or the gardener) only to fail and now it has to be redone properly. We use trained irrigation technicians with 15 years of experience. We fix it right the first time. All work Guaranteed! In addition to our lawn sprinkler repair and installation services, we also inspect pump stations, water supply functions and perform electrical troubleshooting. We are licensed and insured, so you never have to worry about hiring our services. Whether you need a full pump replacement or just want a new sprinkler system that will conserve and keep your lawn fresh, Charlie's Sprinkler Repair is here for you. Call today to ask about our special rates. We’re your source for irrigation and sprinkler repair in the ST.Petersburg & Tampa Bay area.